The Vault Opens . . .
As promised, we’re opening the KlezFactor Vault with a video a day as we run up to our IndieGoGo campaign launch! This time, you get to see KlezFactor’s version of “Mayn Tayere Odessa,” a tune made famous by Dave Tarras with his recording from 1926 (spelled “Mein Thaiere Odessa”). This is a tune that I’ll be playing with my Klezmer Trio in Amsterdam. The theme for that concert is “European Klezmer” and I’ll be sticking to music found in European recordings and in the Beregovski collection. A clarinetist that I can somewhat confidently label as Belf (or V. Belufa or Valery Bellefeuille) recorded a similar tune to “Mayn Tayere Odessa” called “Folnieshstskaya” (with with a different “B” section) ca. 1912-1914. 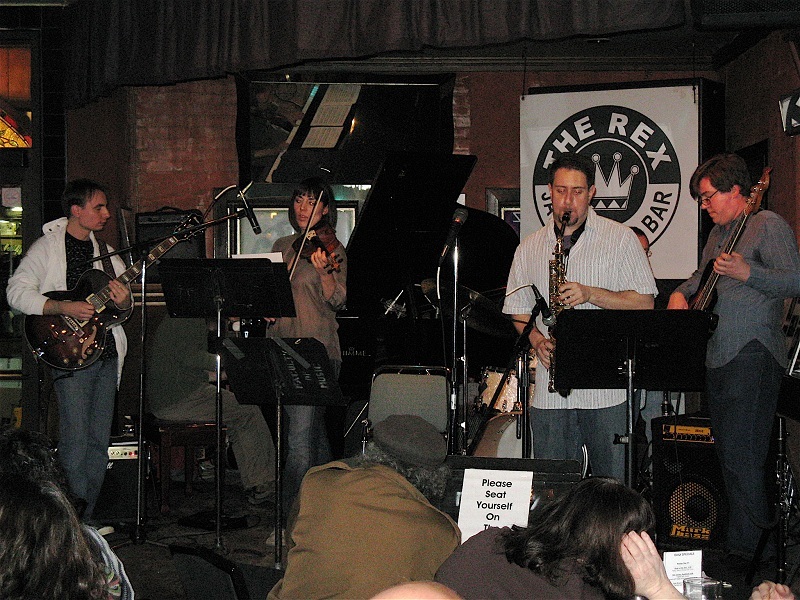 This recording featured the 2009 version of the band with Jaron Freeman-Fox on violin, Erika Nielsen on cello, Ali Berkok on piano, Jarek Dabrowski on guitar, Tony McKnight on bass and David MacDougall on drums. We played one set with KlezFactor and then made way for my old friend Alon Nechushtan, a pianist who came up from New York to perform. And, without further ado, here’s today’s video! ← Previous Previous post: It’s Coming, It’s Coming . . .